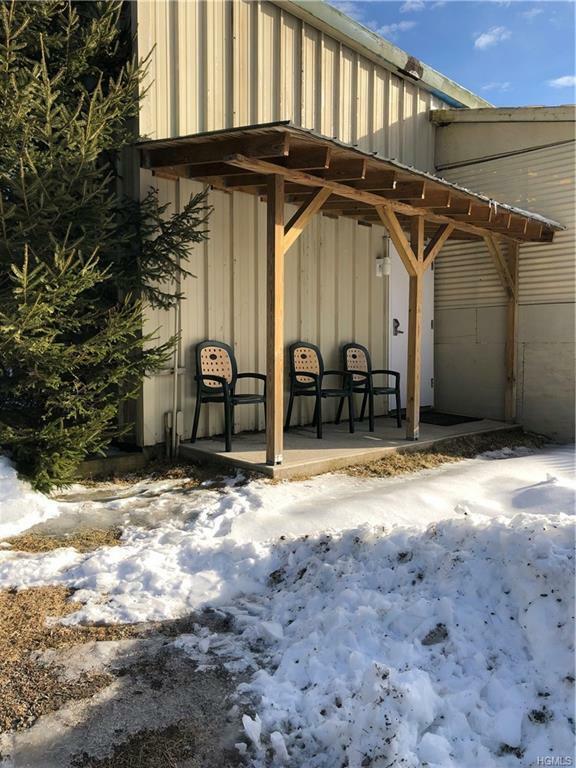 Commercial warehouse space in rural setting. 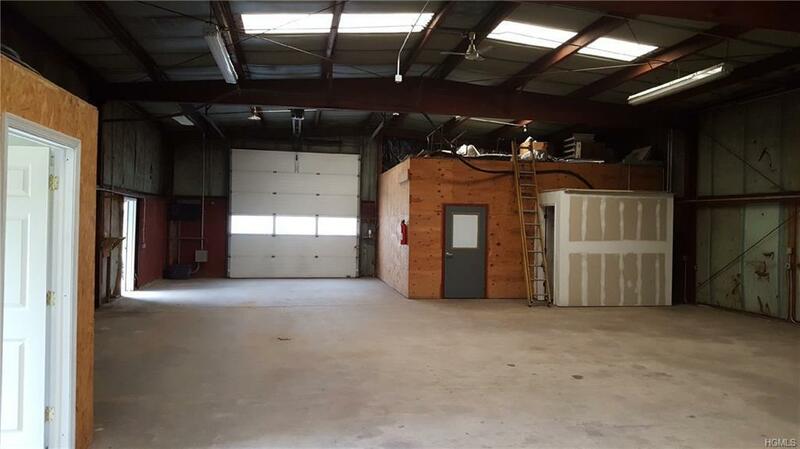 Large open storage/work space suitable for machine shop, equipment storage, storage, etc. 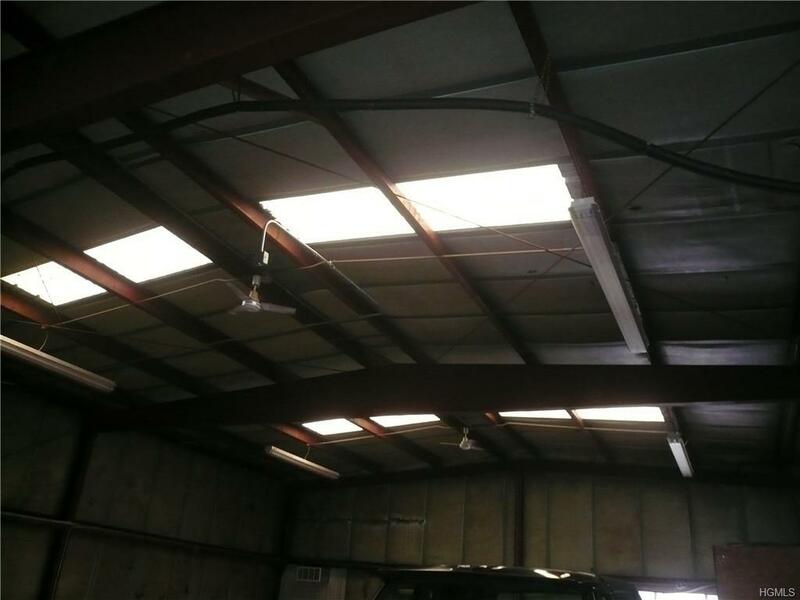 14' High ceilings with skylights and cold temperature florescent lights. 3 phase electric. Heated, 1/2 bath. 12' High, insulated, garage door with remote opener, for equipment clearance. Concrete floors with drains. Close to Rt. 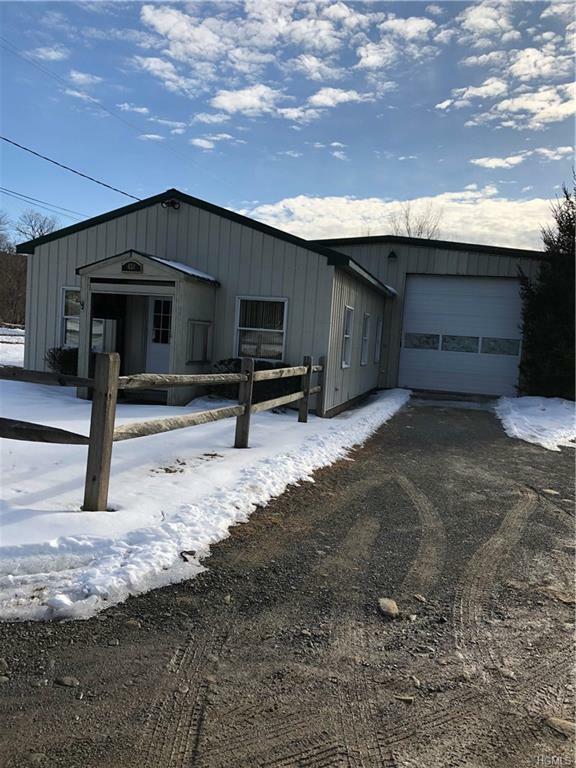 17, interstate, and the popular hamlet of Livingston Manor.Within the Catskill Park. Listing courtesy of Lynne D. Carlin of Rm Farm Real Estate.